The shot of the 41-year-old was likely on set of San Andreas, a movie he started filming Down Under last week. 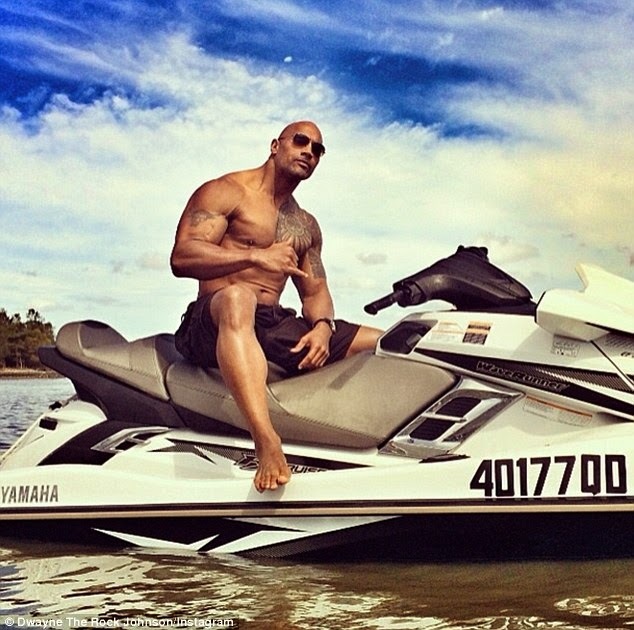 In nothing but board shorts and sunnies, The Rock's insane physique was on full display. Bending his arm to throw up a 'hang loose' sign was enough to make his boulder-esque biceps bulge and tighten his wide pecs. 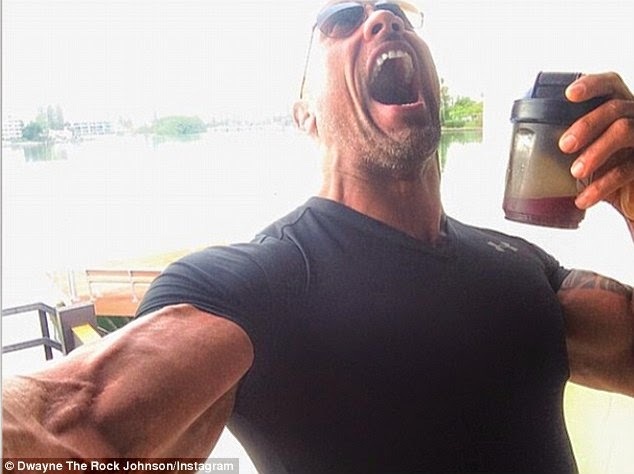 But the former professional wrestler's body doesn't come without intense upkeep, and the day before he uploaded a picture of himself in preparation for a workout. His inclination towards pumping iron was also shown off when, upon originally arriving in Australia following a 22 hour flight from Dubai, the first order of business was to find the local gym. The film he's currently shooting, San Andreas, is a thriller based in California after a devastating earthquake. It follows a helicopter pilot who has to trek across the state to find his estranged daughter, and is due in 2015. The Rock will next star in the historical action blockbuster Hercules, hitting cinemas worldwide later this year. This all follows a landmark year for the actor, as between Fast & Furious 6, Pain & Gain, G.I. Joe: Retaliation and Snitch, he became 2013's highest grossing Hollywood performer, with a combined total of $1.3billion in box office receipts.